American farmers have secretly been feeding their cows defective Skittles to avoid paying for corn. 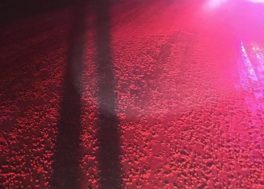 That discovery was made public after a truck deposited hundreds of thousands of Skittles onto a rural road. All of them were in one colour and without the trademark “S” on them and, after they were found, the police were forced to ask highway cleaners to get rid of them. Unknown to many, the practice has been going on for years, according to experts. Not only are Skittles cheaper than corn – especially when bought for a lower price because they are defective – they could even provide other benefits over traditional feed.